Created by Stephen Klinger, the Klinger Oscillator is used to determine long-term trends of money flow while remaining sensitive enough to short-term fluctuations, in order to remain predictive of short-term trend reversals. 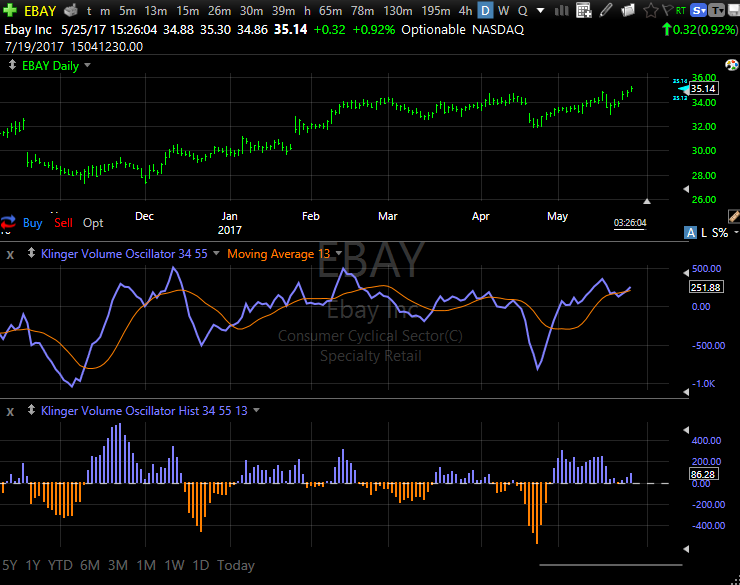 This indicator compares the volume flowing in and out of a security to price movement, and is plotted as an oscillator. This indicator's plot and interpretation are similar to that of the Moving Average Convergence Divergence (MACD). 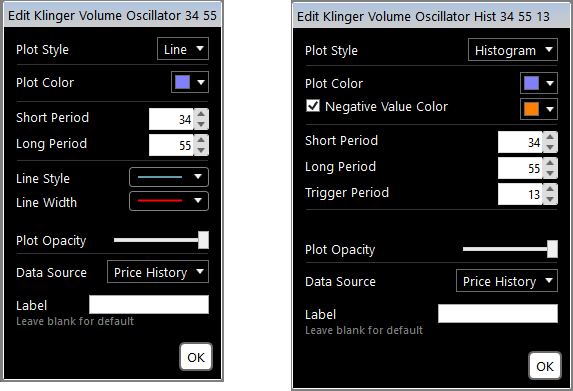 The histogram is the difference between the Klinger Volume Oscillator and its moving average (trigger line).